As we continue to the "Tell Your Story" section, we'll look at what makes an authentic and emotional story along with what types of images you should include. When writing your story, you want to make sure that the story you're telling is authentic, emotional, and easy to understand. You can achieve this by centering your story around a specific person, place, animal, or thing. Support your story with data, by highlighting the specific impact your donors can have in dollars and cents. This approach takes you from talking at a high-level to a more detailed iconic story. When you highlight the specific impact your donors can make, your ask goes beyond just what your mission aims to achieve. Your donors are not just supporting sanctuary animals (like in example one); they are buying the food, medicine, shelter, and more, to care for each and every animal there. By framing your story in this way, your donors feel like they are making a true difference and know the direct impact they can make on your organization. Once you have your story, you'll want to end with an inspiring ask. Offset the costs of new rescue animals we just adopted. What do you call a gang of shaggy quadrupeds led by a goat who looks like an okapi and a horned ewe who looks like a cross between a raccoon and a panda? 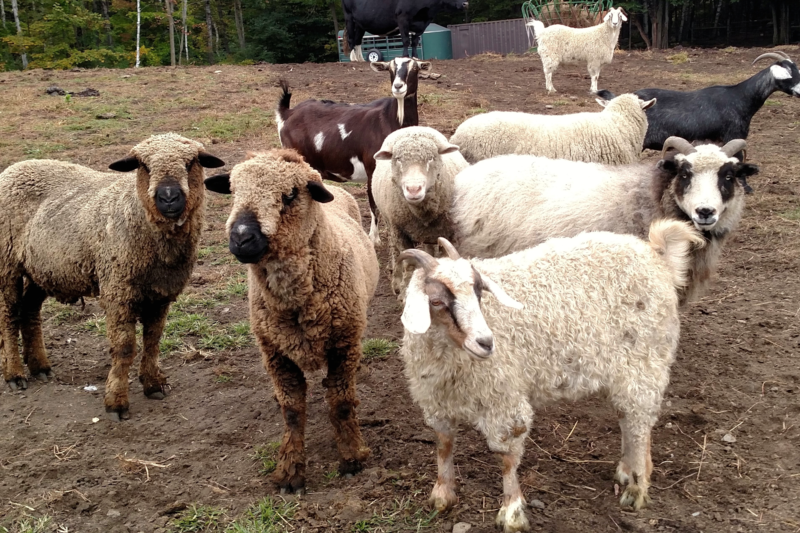 We call them the Green Mountain Mix Mob, and we need your help in welcoming to VINE Sanctuary. These four goats and five sheep were seized by authorities due to extreme neglect, including starvation, from a household where they had been used for wool and milk. They then spent about a year in foster placement, where they were adequately fed but received only the veterinary care usually accorded to “farm animals” (e.g., no medication for arthritis pain), as their case worked its way through the court system. Once the case concluded with a conviction, they were free to come to the sanctuary. Help us welcome these goats and sheep, who have been through so much, to the sanctuary. All told, we expect the Green Mountain Mob to add at least $5,000 to our annual expenditures, but right now we are looking for $900 to offset our costs in transporting them to the sanctuary, pay for their initial veterinary exams, and buy their first month’s worth of hay, grains, and supplemental minerals. Thank you in advance for your generosity toward these courageous animals, who have maintained their compassion for others despite the deprivations they have endured. General fund or annual appeal for a conversation focused organization. 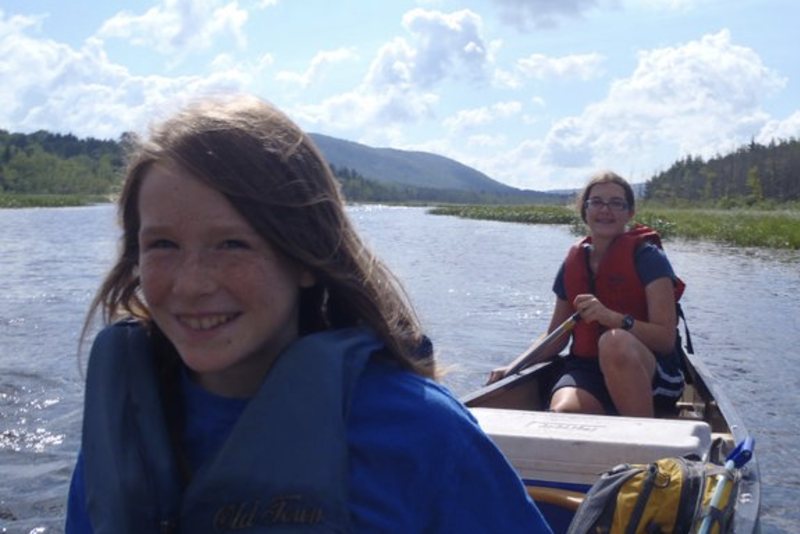 If your child attended an after school program or summer camp, if your teen spent the summer on a NorthWoods Conservation Corps crew, if you worked with a licensed NorthWoods forester to carefully manage your woodlot, or if you enjoyed any of the Northeast Kingdom’s many scenic hiking trails, then you share with us our mission of connecting people with nature. Your involvement is critical to the success of our mission. The challenges that threaten our environment often seem endless and overwhelming: climate change, encroaching development pressures, water pollution, and problems with invasive species to name but a few. NorthWoods meets these challenges every day. Over the past year we have worked with concerned landowners to plant acres of trees to buffer waterways, introduced thousands of children to the wonders and workings of nature, expanded conservation jobs and training for teens in five New England states, and helped many landowners manage their forests effectively and sustainably. We will continue to meet these challenges, but we need YOUR generous support. Our collective power for change is much greater than the threats we face. It is in this spirit that a committed friend has offered to match all contributions up to $15,000 to support the work of the NorthWoods Stewardship Center. For our new friends who are considering a first-time gift, this is perfect timing. Every donation is doubled! Please consider making your generous gift now, so we can continue our journey towards an environmental future of sustainability, education, and science. Your cover photo should be a large, horizontal image, at least 1500 pixels by 500 pixels, but no larger than 5MB. The cover photo should illustrate your story. If you're talking about example 1, a picture of the Green Mountain Mix Mob would be a great addition. If example 2, an image of conservationists doing their work would illustrate the story well. The best images also avoid close-ups and anything with words on it. The mobile responsive design that GiveGab uses to ensure your campaign looks great on smartphones and tablets can cut off text and make close ups even closer! Your story image should be a medium sized, horizontal image, around 500 pixels by 300 pixels, but no larger than 5MB. The story image will be the image that is shared on social media, so this image should illustrate your story just as your cover photo does. If you're talking about example 1, another picture of the Green Mountain Mix Mob would be a great addition. If example 2, an image of someone enjoying the outdoors would illustrate the story well. Keep it relevant. Tell the story of your fundraising campaign, not the story of your organization. Keep it authentic. Try to include those benefitting from your campaign. There are six templates to choose from. You can see the different templates here. Choose whichever you think is best! If you have a great video, try out the "Focus" template. If your images look a little blurry, try "Blur". There are 8 basic colors to choose from, but if they don't fit your branding, you can also enter the Hex Color Value of your nonprofit's colors. You can also choose colors to match your cover or story image to keep the story consistent!